2019 sees the 40th anniversary of the admission of female students to The Queen’s College, Oxford. To commemorate this historic event, the College is organizing a range of events and initiatives that will run throughout 2018-20. As part of this, and in keeping with its aim of revealing hidden collections around Oxford, the Cabinet team have been working with the College’s Head of Communications, Emily Downing, to produce an online exhibition entitled 40 Years in 40 Objects. The exhibition captures the long history of the College, with exhibits dating from its medieval foundation through to letters, photographs and everyday objects that have defined college life there since 1979. Many of the exhibits have been sent in by alumni who experienced this moment of transition first-hand. Highlights include 3D models of some of the College’s sixteenth-century artefacts, including a wooden effigy of Queen Philippa and a Greek New Testament which originally belonged to Queen Elizabeth I. The latter shows how two- and three-dimensional perspectives of an object can complement one another to further the viewer’s understanding, regardless of where they are in the world. 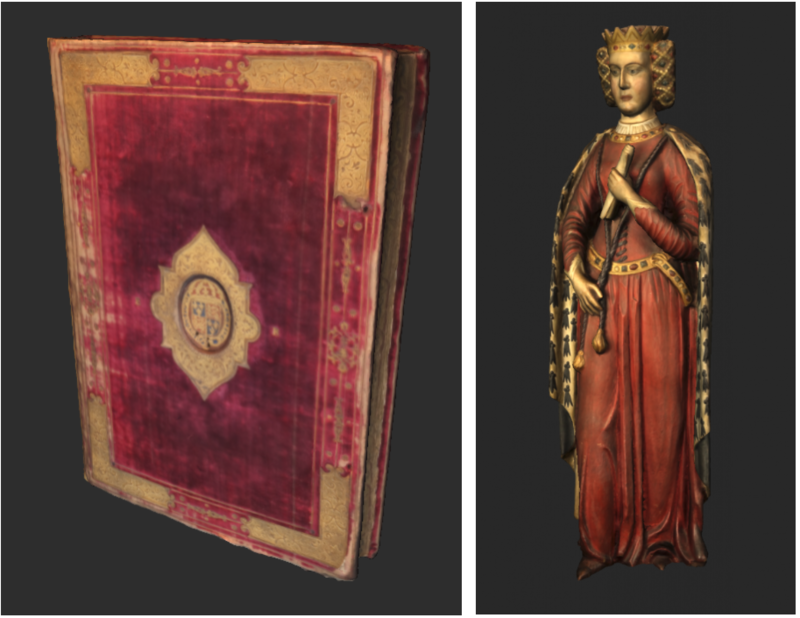 While 2D images of the pages show its content, the 3D model, which shows indentations and a velvet cover which catches the light as it is moved, gives a sense of the book’s materiality and how it may have been handled by its users, including Elizabeth I herself. This is the first of many books to be recorded in 3D by the Cabinet team.